When none of the ordinary accessories will do for your outfit, consider adding this dramatic piece to your ensemble! 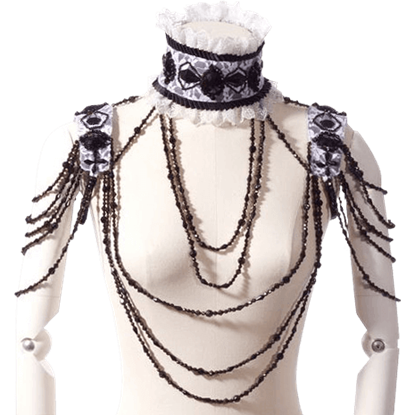 The Gothic Beaded Collar and Shoulder Drape features strands of beads over your chest and arms. Many women dream of their wedding days for years, imagining their perfect gown ensemble complete with veil. 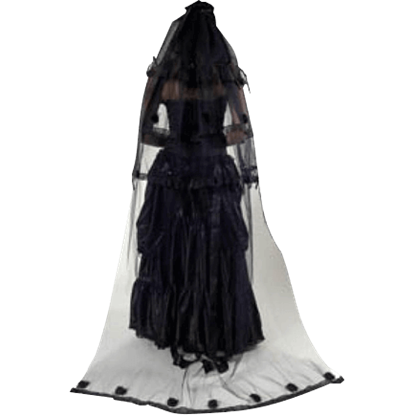 The Gothic Bitter Beauty Extra Long Rose Veil cascades over your head and gown to drape behind you with elegant black mesh. Cascading over your head and shoulders to your lower back, this veil will add elegance and beauty to your most important day. 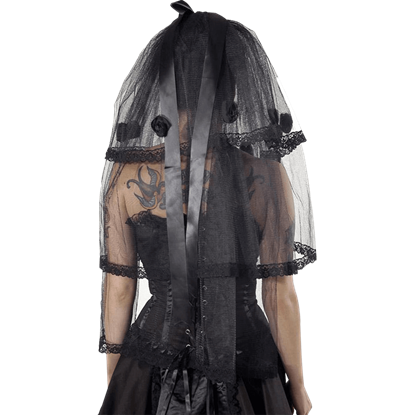 The Gothic Bitter Beauty Short Rose Veil makes a great bridal accessory with a gothic twist. Adding class to your ensemble is easy to do with the right accessories. 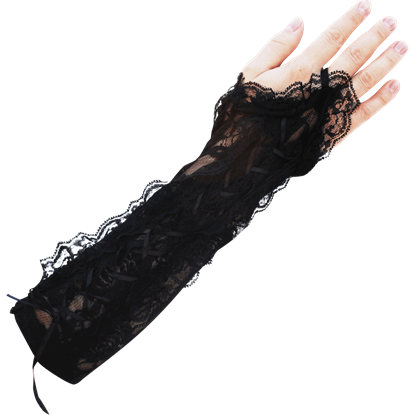 A nice pair of evening gloves similar to ones that starlets and debutantes used to wear, like these lovely Gothic Black Lace Sleeves, will do just that! When heading out to the opera, a wedding, or other formal occasion, make sure that every detail of your ensemble is complete. 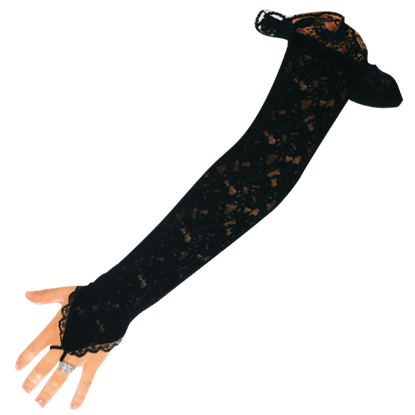 The Gothic Crystal Bow Fingerless Gloves make the perfect finishing touch to a fancy ensemble. When planning to attend a formal event, you ought to enjoy the opportunity to dress up in an elegant ensemble! 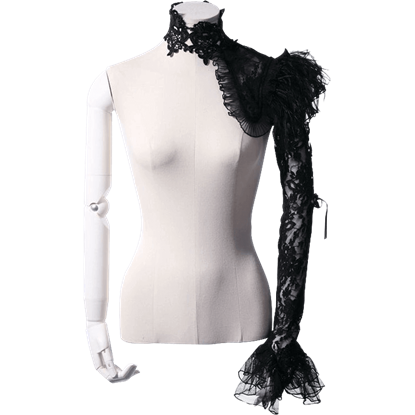 The Gothic Lace Sleeve provides an intricate accessory that adds a touch of striking fashion and flair to any outfit. Whether you need gloves for when you ride your motorcycle or simply enjoy their appearance, these gloves will make a great addition to your outfit! The Gothic Zippered Fingerless Gloves add gothic punk style to your ensemble. It is the small things that have the biggest impact on your attire and your appearance. Take these Laced Up Gothic Glovettes, for instance, which are a great pair of accents that add an iconic touch of style to almost any attire. Here is your chance to finally spread your wings. 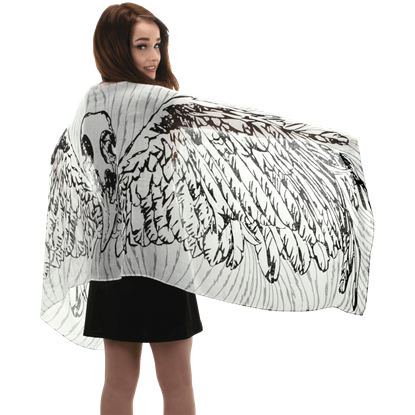 The Lightweight White Feather Wing Scarf is perfect for casual gothic angel looks, as its beautiful printed design appears to adorn your arms with feathery wings when worn as a shawl.